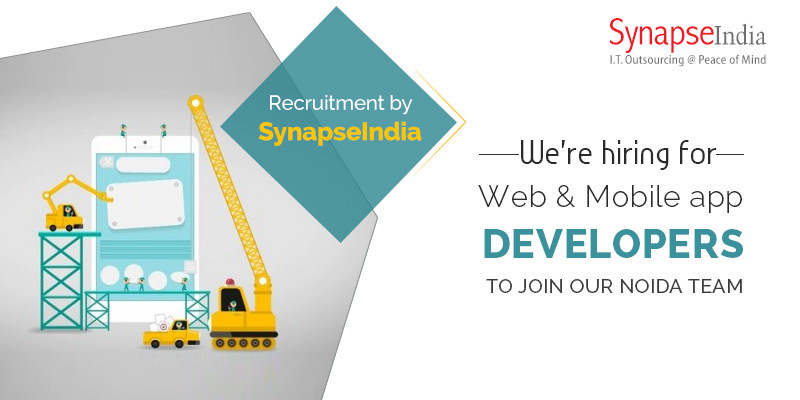 SynapseIndia recruitment team is looking for self-motivated & innovative spirited professionals to join our team in web & mobile departments. Based out of Noida, India, SynapseIndia has earned the reputation of being one of the most reliable IT outsourcing companies in India. In business for more than 15 years, SynapseIndia has a prestigious clientele from more than 30+ countries. We're expanding our development team and looking for web & mobile developers in various technologies including PHP, .Net, Microsoft SharePoint, Android, iOS, PhoneGap etc. To checkout all the current openings with us, kindly visit our official website or get in touch with SynapseIndia recruitment team.